Crewton Ramone Just Play With Base Ten Blocks And Learn Math. Let me start of by saying it's not like your kids will just hover around the blocks and learn math by osmosis...they need some direction and it is purposeful play we are going for not just messing around and throwing blocks at each other. A seminar company I used to work with way back in the 90's made it sound like all you had to do was buy a kit and your kids would be math geniuses in no time even if the kit just got stuck under their bed and never saw the light of day. They were excellent salesmen. People believed them. Well, turns out children learn a lot thru play and if you aren't new to my blog and website you have heard this all before. A lot. You've seen lots of quotes, and videos...but you haven't seen this one. 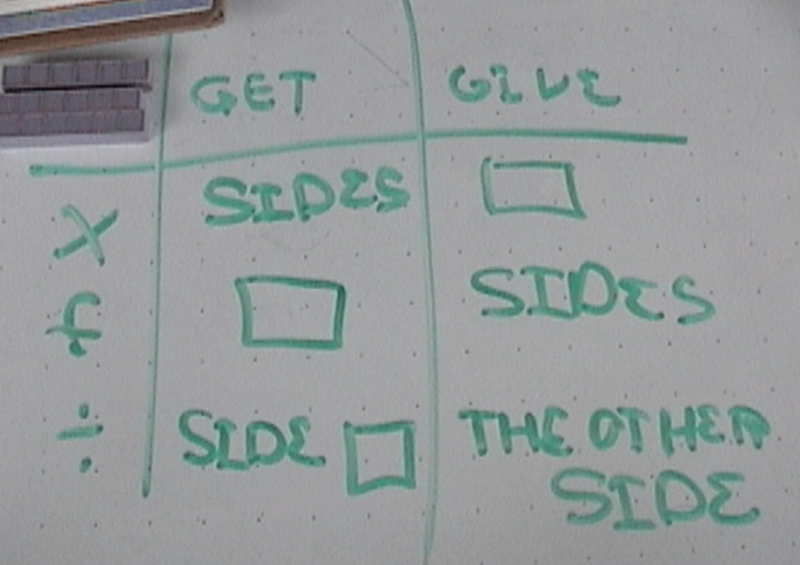 I just added it to the first grade math worksheets page. By now I hope you understand that the worksheets are to be used sparingly. They are NOT a primary teaching tool. The blocks are. On that page CLICK the links or the worksheets for FREE downloads of them. That's right FREE. There is another short video there I would encourage you to watch, and here is a much longer video by the same guy, Dr. Doug Clements. Teachers in particular might want to make the time to watch that. Once you have some experience with manipulatives you will see clearly all the learning taking place, these are second graders after all. If you are new around here spend some time perusing the house of math and this blog. After a while you will be able to see the math concepts they are internalizing and how important they are...AND they get to associate FUN with "math time." Meantime you can come play on Face Book. 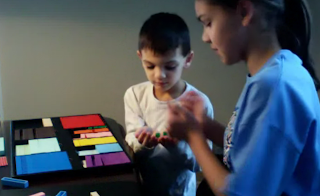 Base ten blocks are very effective at teaching math so effective kids can teach each other. Not only are they effective they make math fun. They even make algebra fun. This lesson was lots of fun and lasted an hour, we built 25 addends in the tray, we played what's under the cup did a little skip counting and generally had a gay ol' time. It used to be called Mortensen MORE THAN Math for very good reason. Here a little brother is helped out by his big sister. I can't think of anything more beautiful than siblings learning from each other...unless it's parents learning math from their kids and vise versa. This little boy has two older brothers too, one of whom was supposed to have class with me but we ran out of time and he asked if he could take his brother's place. He is the youngest and only 5 so he was a little shy, so his big sister came in for moral support. She was by coincidence doing her math from school while she watched/helped us. 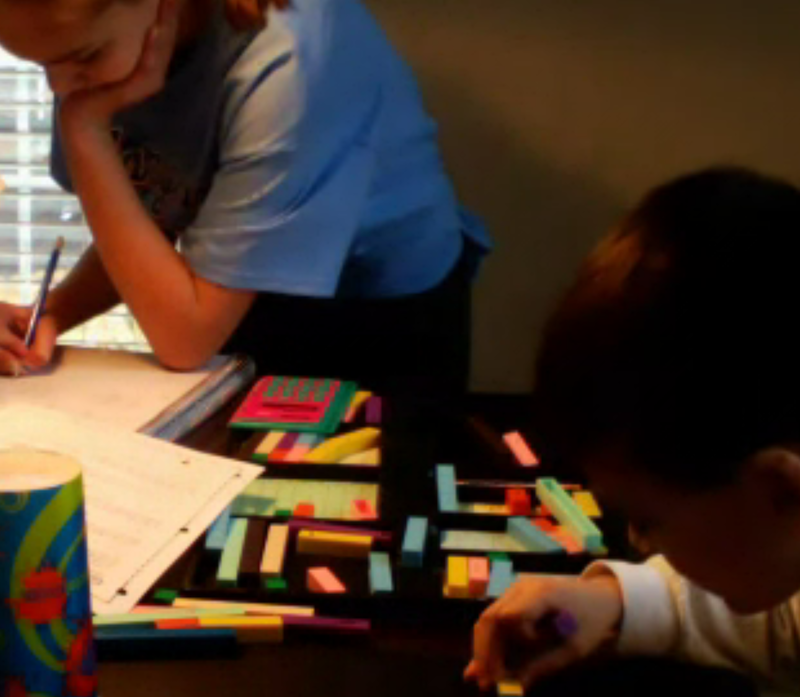 A family that plays math together stays math together...or something. She has had quite a few lessons with me and now her school work is easy and she's getting A's. When she get's to "harder" algebra she will still get A's. As you know the most common grade for algebra is F. Most students who take it FAIL. What does that do to a child's self esteem, particularly girls? There are some child psychologists who have figured out that if they fix the math grade a lot of other family problems disappear. Problem is most of them can't teach math any better than their clients teachers. Until now. "She's doing math, I'm doing Math too!" Why not avoid the problems in the first place? Here is a system for teaching mathematics that makes it so easy even math phobics can learn how to do it. I have taught more than one mom who hated math to play math with her children. Often that's the first hurdle...getting them to make math fun. This child's mom also works with him and spent a lot of time home schooling the other three...with a few supplemental lessons from me when it came to math. So playing math over the internet is natural to this little boy, although he was a little shy at first and wanted somebody to be there for security. Mom had to take his brother to swimming practice...so his sister was elected. Here we see him playing what's under the cup with my little boys. Even though these games are far under the older children's skill level, having their addends reinforced this way doesn't hurt anything. Repetition is the mother of skill, but this kind of repetition doesn't get boring or tedious because they are just playing with another kid...imagine if they had a worksheet with 50 of these problems, even if they were set up algebraically where they had to find x it would be drudgery or had to go through a deck of addition flashcards. On top of that, the emotions and associations that go along with play are positive whereas the emotions and asscoiations that go along with drill work and work sheets are negative. You need only look in the mirror in most cases for confirmation of this. What asscociaitions do YOU have with math? Yes you reading this. Chances are they are quite negative...and even if they are neutral you don't associate FUN or PLAY with MATH. There are a very few reading this that do... Why is that? And if you hate math as a teacher or a parent, do think that might maybe somehow perhaps transfer to you students or children. People used to think they had bad math genes. At this age even sorting the blocks is useful, I admonish parents NOT to clean up after their kids after a math lesson. Make them do it, or make them do MOST of it with your help. While you put away blocks you can count and do a little multiplication just so they hear the patterns...when they are very young you might just have them put same with same...at this age you can say things like 3 sevens is 21 and as you put fives away count them, five, ten, fifteen, twenty... This would also be a great time to put a skip count CD on or multiplication rock songs as music to clean up to. If you sing the clean up song by Barney while you do it, the ten bars will turn into snakes at night and disable your pets. And now that song is stuck in your head again. You're welcome. Learning is going on all the time...even during clean up. When you get right down to it, he doesn't really need me because his sister (who as I said has MANY lessons under her belt) and his mom who has spent some time on my blog and website, plays with him too. His sister was actually a big help during this lesson. Soon it can be just me an him as he get used to Crewton Ramone. The video snippet below gives you a feel for what happened during an hour long session with a five year old who is learning his addends. I also put part of a game of what's under the cup on it which will get him ready for some simple algebraic problem solving...this is so important and yet it is rarely done in public schools across the country. You can certainly hear his enthusiasm. The pictures alone should be enough to warm your heart. I know parents who wish their kids would play together but sometimes it's hard when the ages are far apart. Once counting is mastered we can do all sorts of math, in this case it's addition using addends and of course we make a game of it and play math. What's under the cup is a kid favorite. Soon he will see 8 + x = 15 instead of the cup...and it will make sense that x = 7...and when he sees some rules years from now in public school those will make sense too... you can find more on tmy blog and website. You know how you're supposed to read to your kids? You should probably math to your kids too. Meantime Dboyz are just fooling around playing and building stuff....they also were doing some factoring together, you can't see it well but they factored 2x² -3x - 9...and just had fun building towers and a "castle" out of addends. They are 7 and 9 so for them it's just play (if you ask them they are sure they didn't learn anything...there are lots of other kids for whom these activities would still be challenging learning exercises. Dboyz are reinforcing facts they already know without paper and pencil or math worksheets. Can your 4 year old solve this? Why not? Using manipulatives to teach math really does make things easier for everybody involved. And as we used say Mortensen Math makes math child's play: because it does. 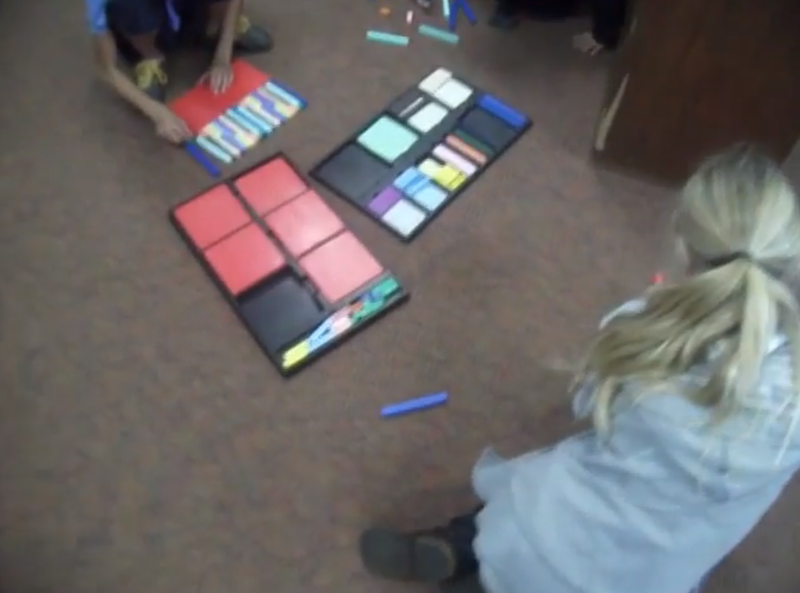 Preschoolers can do math that amazes adults. Here we begin introducing symbols to a very young child but before we did any of this we played games and especially a game called "What's Under The Cup?" This is an absolute favorite of pre-schoolers. Start doing what you see here and eventually you can work your way up to what you see here, "advanced what's under the cup." And we'll get to problems like 3x + 2 = 2x + 5. Problem solving is simple when you baby step your way there. So for now we are just figuring out problems like 8 + x = 12. Keep it easy no need to rush. just play. After this we played what's under the cup for real...and we played for a good 20 more minutes. Even though if you listen you will her ask "Can I go now?" She stayed and they played. She had fun because my youngest was playing with her instead of me and her dad. Kids like to play with other kids which is why group learning can be so effective...it's also why I try to put young students in groups. I paid my youngest a dollar for helping me tutor this little girl in Chicago...and he is thrilled. "Wait, you're paying me for this? This is so awesome!" 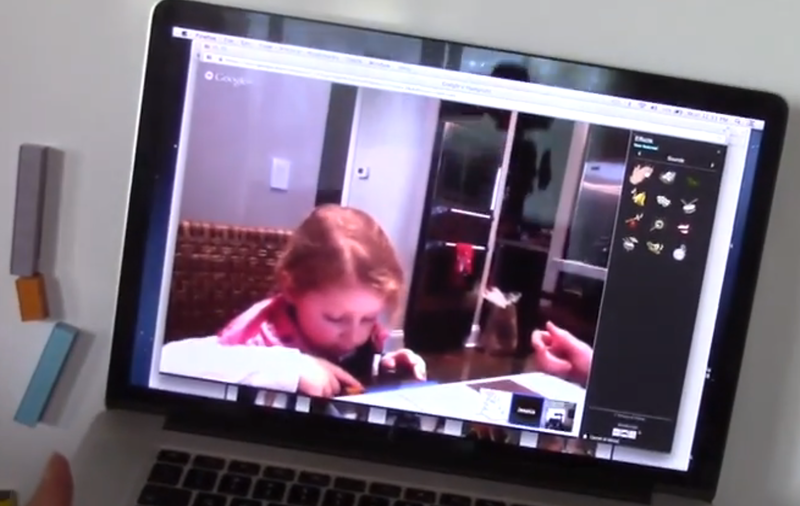 Just as aside, this child was being taught via vid chat, I wasn't even there in person. I agree that you lose a little when you do it over the internet instead of in person but you don't lose that much. Lots of people could benefit from internet tutoring...again if I can make it this easy for her using the blocks, I can probably make it much easier for older kids too....in fact lots of teens go from "F" to "A" in short order. I prefer YOU teach your own kids but tutoring is what I do. So if you need help be in touch. I also "coach" teachers and parents. All we did was play what's under the cup. I didn't get that on vid...because when the camera goes on things change and my first obligation is to the paying customer not making vids for the internet...my boy is an old pro at this game and for him it's super easy but he like to play with this little girl via vid chat, she had fun and our lesson lasted longer than usual because she was fully engaged in playing math. Here he is "back in the day" when he was also four. We made a problem for her, then she made one for us and she learned addends...and I had an epiphany myself while watching them PLAY. I can't stress enough how important it is to let them play, you provide the framework or game and some direction and they'll do the rest if you let them. I also have to work a little with the father on removing NO from the lesson and letting her fool around to get the right answer. She's never wrong just getting more information. 3 + X = 12 she picks a 7 because she knows 3 needs a 7 to be ten and that's often a right answer when there's a three involved...she sees it's a little short and then sees she needs 2 more so she makes the addend for 9 with a 7 and a 2 AND she gets the answer for 3 + X = 12. In her head she realizes she needs a 9 because she can see it. Harder to do if you just have symbols. Her thought process in no way benefits from her being told "no" when she gets the 7. Fear of Failure Can Be Taught Unconsciously or UN-taught Conciously. We also want to remove the fear of failure. Ever hear of Sara Blakely? Her father actually used to ask her how often she failed. You might go read that article because it is very rare that I link to stuff I haven't written...and even less to Forbes or CNBC. They don't need my help. (I need your help though, you could link to me, like pages pin on pinterest etc, it helps people find my work. Page rank, all that SEO stuff.) But that's a good article and a fun interview. Billion with a B. Parents might want to apply it as best they can with their own kids. It will be hard because in school kids learn to fear the all-mighty "F". They learn to fear failure instead of looking at it as an important part of learning and a crucial part of success. Whether it's mathematics or life in general. This patterning starts young. Instead of being afraid to try or being hesitant to look stupid or displease mom or dad, they just play and learn. There should also be some words of encouragement to keep trying even if you get it wrong more than once. What usually ends up happening is children or teenagers fail math (algebra is still the most failed subject) learn to hate math and don't keep trying. I can't blame them, really. They are put into a system where they can't succeed; where the system doesn't change to fit the student's natural learning style instead they expect the student to adapt to the teaching style. Worse, it's EXPECTED that a certain percent will fail. Bummer for you if you're in that crowd. At the house of math one of the axioms is put the child in a situation where they can not fail, although they may fail on the way to right answers with directed discovery they eventually get there maybe even on their own. We've Gotten To The Point Now Where We Expect Students To Fail Math. Having said all this about failure, I remember a teacher that came to one of our trainings got excited and really applied the lessons she learned and the use of the blocks to her algebra class. I was the trainer that gave her another 30 hours when she had come back after her first 10 hour training. She was so excited and happy and MAD. 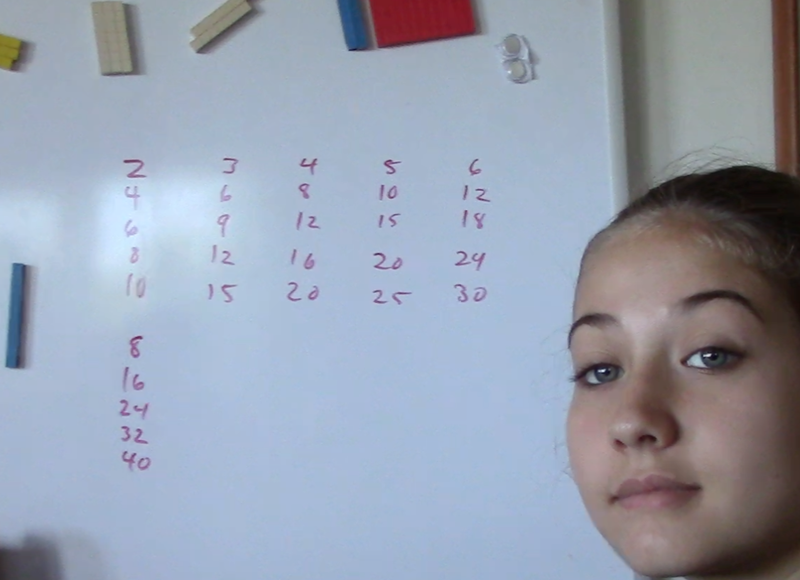 Her pre-algebra class got all A's because of this method. No one failed, no one even got a "B." Was the principal thrilled? Hell no. He told her she had some how made the tests too easy and that she needed to make the class harder. Her algebra class where she had similar success, not ALL A's but no F's was met with a similar response. This was not a brand new teacher this was a veteran teacher. Some kids should be failing or she wasn't doing it right. This was a training with about 100 people in it, in Utah. Other people chimed in with similar experiences. I removed all but one of the expletives from the above paragraph for your reading enjoyment. If a four year old can do this and you can see second graders doing algebra and problem solving perhaps teen-agers can do it too. You might also search Crewton Ramone in the classroom and see what comes back. Now, get yourself a password and get started. I know you're wondering what you get for a password. So I made a whole blog post just for you. I am told I don't charge enough. I am going to give Raymond his own page, fix the percents page and add a trig page here shortly. Then there will be training pages you can buy...just give it a little time; I remember when there were no videos and passwords were a buck. Give your child a headstart in math with my counting book. Dboyz Night Time Fash Card Caper. First I want to make it clear that flash cards are not a primary teaching tool. If anything I use them as a diagnostic tool to see where students are, how easily they can recall facts and where we can play games and do other activities that will cover the ones they need work on, these two have pretty much mastered this deck. The point is when you are doing math try to have fun with it. It doesn't have to be "work." Before I turned the camera on it was much sillier and we were having lots more laughs...which is why I got the camera. Of course when I turned the camera on things changed but you can still see we were having fun not just "drilling..."
This is more of a home video. It is poor quality and too dark but that's not the point. The point is not to use flash cards as your primary tool for memorizing math facts...and that if you are relaxed and having fun MORE learning takes place not less. There are now plenty of studies that bear this out, and corporations are well aware that it is easier to program people when they are relaxed and happy than when they are stressed and upset. This was back in December. I probably have pulled flash cards out ONCE since then. We have been playing math for so long by now this kind of single digit division is easy for them to do...no stress, no tears, but it does make them think a little differently than when we do multiplication. People who use base ten blocks understand the diagram. With multiplication you get the sides of the rectangle, you have to tell me the whole rectangle. With factoring you get the whole rectangle, you have to tell me both sides, with division you get the whole rectangle AND you get one side all you do is tell me the other side. You get MORE information. We are fooling around with the basic concept of the rectangle and using it to facilitate counting. This is concept #3 of the 5 basic concepts. They also get a better feel for the idea of inverse functions and what that means. 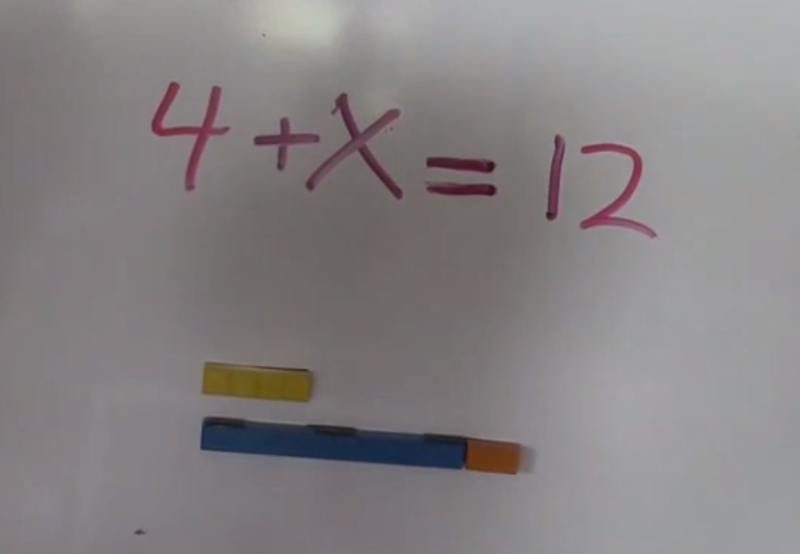 It amazes me that some students don't get the connection between multiplication and division. With division you actually get the most information and yet we usually teach it last and kids end up hating it. At Crewton Ramone's house of math we teach it right along with addition and subtraction, and even the little kids under 5 are exposed to the idea that it's just more fun counting...because really that's all it is. Take a look at the smiley face division books. These are for kids who can't even write yet! I have seen kids who are two and a half who can't hardly speak yet sit on their mommy's lap and point to the right answer...the parent was so enthusiastic about Mortensen Math. "Why not? I read her story books this is just another book but she can participate..." Certainly I have no problem with this. My book is designed for little kids too, just another book to read at bedtime. Some people will try and tell you you should wait, and that somehow you're taking away their childhood and other such rubbish. We know the best time to teach a language is when they are YOUNGER, kids in Europe learn several languages and switch back and fourth easily. Math is just another language. 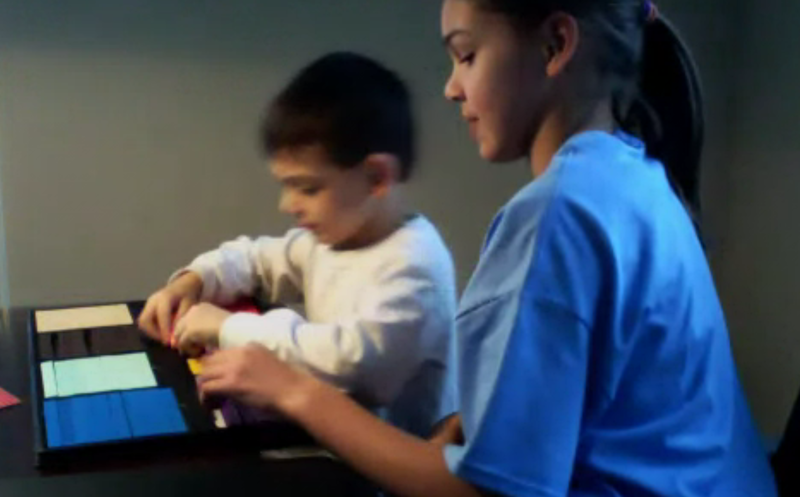 Early Exposure to Math concepts helps ensure success. It should also be obvious that drill work is not the most effective method for learning math although repetition is the mother of skill, you can get them to repeat math facts by building and playing until they KNOW them rather than dry, stale, lame worksheets and flash cards, that turn the kids off and make them hate math by the time they reach 6th grade. Also I'd like to address this line of thinking. If they learn math "this way" instead of "the other way" won't they get confused? Again, just like kids being able to switch easily between languages kids can easily switch between symbols and blocks and I have tons of video where my boys do algebra in their heads without blocks or even symbols on a white board or even paper and pencil...all verbally. Once you can see it in your mind, you can use symbols to describe it if you need to, or you can just say the answer. Further, "this way" they actually see where the rules come from instead of just memorizing rules or facts or algorithms. If they play enough they will see a pattern or a way to figure out the answer and then they can make their own rule, it doesn't matter that the rule or formula already exists THEY discovered it for themselves given direction and play time. They see and understand why and THEY will tell you the formulas...if you do it right; they really will tell you the rule or formula (like Pythagorean Theorem for example) instead of just memorizing a lot of disjointed rules and formulas that become compartmentalized with no idea how it all fits together. Jerry Mortensen used to call this "the meaningless dance." This should sound familiar to you because more likely than not this is the way YOU were taught math and by high school or college none of it made much sense even if you could memorize long enough to get an "A" on a test...you still can't/couldn't apply it. Math also enhances critical thinking...but that's a whole other topic. If we taught little kids English the way we teach math, precious few of us would speak English. Math: patterns, rules, predictability, consistency...English is kind of a mess. Here is another blog post on division showing some division worksheets I had made. Search Crewton Ramone division and you will find a host of posts vids and pages I've made over the years. More First Grade Math Fun with Manipulatives. Use a block you know to count to a number you don't know. It's fun to use your new skills right away. If you read this blog regularly you are quite familiar with the concept MAKE MATH FUN. Especially when they are only in first grade, five or six years old....why would you make it "work"? 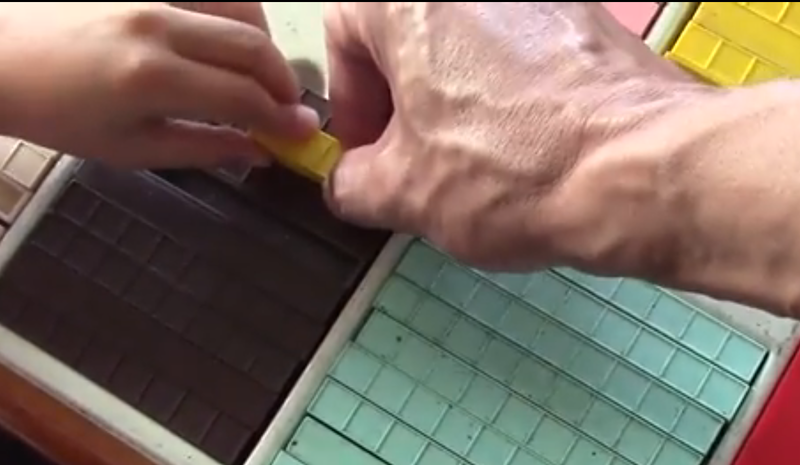 Manipulatives when used properly can make math fun. And can be quite powerful at getting concepts across to students who don't grasp them when they are presented using symbols only. I remember a parent asking me why put a whole bag over there head why not just have them close their eyes? Because the bag is MORE FUN. What's under the cup is FUN. Playing with brightly colored blocks is FUN. What the hell happened to you are your way to adulthood? Do you forget to have fun...? I remember being with some adult friends on Halloween and they were stressing out about hotel rooms and their costumes and whatever else...and I said "You might be forgetting to have fun." First graders still know how to play and have fun. They could help you if you let them. Relax. You have time. Let them goof around...of course there needs to be some discipline but don't get so caught up in the lesson or the idea that this is math time I have to teach them xyz. Good for you for being conscientious and relax: playing is learning. All you have to do is provide a little structure and direction. Pretending you have x-ray vision is fun. Be playful, have fun with your math instruction all the way through high school. People are always amazed when I say I make math fun...amazed might not be the right word incredulous might be a better word. They can't imagine math being fun...or even using math and fun in the same sentence. "Here have a worksheet instead." That's because they had a bad experience...I, myself, have shed a few tears over the mathematics. Then I found out it doesn't have to be that way. Break the cycle of math violence in your household! Have fun with your kids playing math, dammit! Use your weapons of math instruction for instruction not destruction (although at older ages you might want to do some analysis and deconstruction). The patterns of multiplication are easy to discover and hear. I can't stress enough multiplication is the major milestone in the beginning of a child's math career. Needs to be made as painless as possible. And as the case with all languages it is better if it is taught EARLY rather than later. Sing songs, watch vids play games learn multiplication...you may find that it allows students to practice their addends and addition...because that's all multiplication is, it's counting quickly. They're just playing with blocks they said. Manipulatives aren't particularly productive they said. Sure, I said. And here is the House Of Math if you stumbled onto this post by accident and you are new around here. Soon this kid will have his own page and it will be password protected; you may eventually want to get a password. Update: He now has his own page, you'll find this post and more vids you won't find anywhere else at CRHOM. This snippet was made from a much higher quality vid using screencasting the vid at my website has better audio and video. "We didn't do anything dad, we just played with blocks." ~My favorite quote from a little girl who went from "F" to "A". Or what do I get for a Password? Slightly "older" student begins the process of mastering multiplication. People sometimes email me and ask if they should get a password...of course I say yes. Here is the short version with links to all the pages where you can use your password: PP Links Page. There is no short cut I can give you as been said there is no royal road to mathematics, but I can sure remove a lot of the excuses we used to get when people would buy a kit and wonder what to do next. There is no one path to take because each kid and situation is different. And this method does not believe in the standard way they have done things in public schools where basically everybody learns the same thing on the same day at the same time. So quit asking. Not gonna happen here although I am trying to show you how to use these blocks for your situation...ie I want to teach my kid addition, or long division or fractions or what have you. There was a time when you got a password with your order but that time has passed. (I haven't updated every page I've built over the years to reflect this so you may see a page that say you do....but you don't.) Be aware that Mortensen Company fills all my orders on blocks and pays me a commission. I fill orders for passwords...which basically means I send you an email in case you miss the pop up page when you check out with paypal. The GETTING STARTED PAGE is a 5 dollar value all by itself. Many people have found it useful to go to that page and use it as a starting point. Make sure to check out the pdf's on that page too, scroll down, there are four of them there. They contain old articles and scope and sequence for the books, and a nice dissertation from an experienced teacher on why she likes this method. etc you need a password. 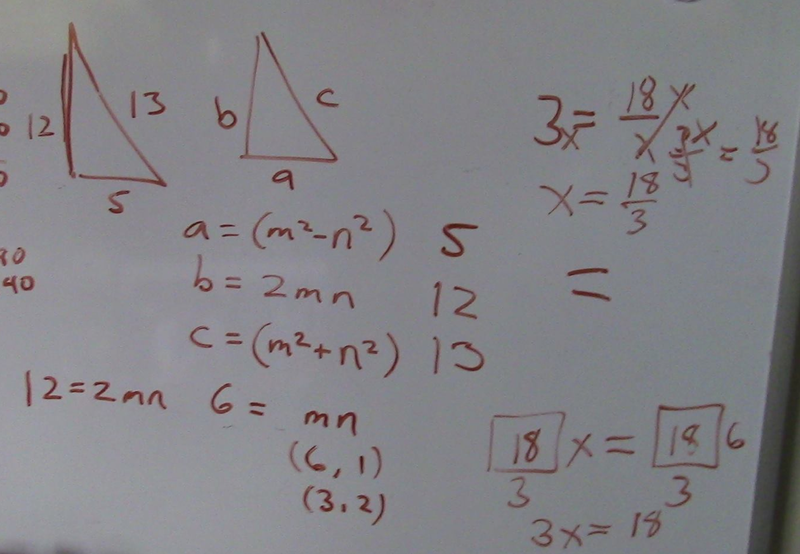 You will also find that we use algebra to teach the basic operations and I'll show you how. I often use algebra to teach addition and multiplication and use it to sneak math facts in on older students who need remedial work in mathematics. Sound intriguing? It should. I am told constantly that my password should cost more, not just for the content on those pages but also as a thank you for all the free stuff you were "fronted"...as it were...lol. Yes: I am trying to get you addicted to math. Check out the advanced algebra page. The only place that shows you how to use the blocks for that on the entire web! The Password Protected screencast channel it has Percentages on it. My percentages page needs work...and it's on the list of things to update. There are new pages added and pages updated pretty regularly, I'm always adding youtube vids so you might want to subscribe to my youtube channel. People sometimes tell me they don't see anything new, that's because your browser is loading the old page out of your cache from last time you were at my site. Hit refresh for the new stuff...the Sample Lessons page has a ton of stuff on it and so does Sarah's Page. Those of you who have funtionally autistic children or students might find that page QUITE interesting. It shows how I took a student who was basically being ignored in a public school system mathematically and got her to pass her GED and Compass Test. Ironically the reason she had to take the GED is because she didn't have enough math credits...but that was because they were teaching her math and I didn't meet her until 10th grade. You put your password in there and you'll get a list of pages where you can use your password. Or you can hit Test on the navigation bar. Channel of Screencasts you can't get anywhere else: (currently mostly same as "advanced algebra") but also HAS PERCENTAGES AND FACTORING NEGATIVE EXPRESSIONS. And guess what? There's more. Buy a password and find out how much more. Just go to the TEST Page they are listed there. One password does it all at the moment if you run into a page that asks for a password you'll have it. I did it in one take and didn't do any editing...you may want to skip it and go to the second one....it's "only" 18 minutes long instead of 38. That thing is way too long. Here is a shorter version that mostly just covers my website. Problem is getting close to solved. Now you want an example of how to present whatever it is chances are there's a video for that. If not email me and I'll make one...eventually. Use your search engine! Vid courses should also come out this year...(2014). If you have a topic you'd like to see leave a comment. I have done a few parent/teacher trainings...which cover what to do in what order depending on the situation, I am told I should make some vids like that...so much to do so little time. When you do order, turn off your pop up blocker. I have it set up so when you finish paying a page pops up with the password on it and info on where you can use it. If you miss that page just send me an email ad I'll send it right out. Also check whatever email you use for paypal, I don't know how many times people have sent me pissy emails when I already sent them the password but then they tell me they only use that email address for paypal and never check it. Some Math Enrichment I did with a 9 year old. Schools you are free to put this software on your computers for your kindergarteners and first and second graders. No license fee, no software fee JUST USE IT. Go here for an hour long overview of the method and more vids. Too funny, this post is getting too long...lol...so I'll stop here.
" The way to have a good idea , is to have lots of ideas. "